Will Arsenal fans be happy if Arsenal finish Fourth next season? So everybody wanted Arsene Wenger to leave because we felt that Arsenal had no ambition other than to try and get into the Champions League positions, a target that Wenger failed to do for the last two seasons after 10 years of scraping into those positions even when we were paying for our new stadium. Now everyone is very happy that we have a new top-class coach, but do we expect Emery to actually get us challenging for the title, or are we going to be satisfied if he can simply get us back into the Wenger-Trophy positions? The bookies are not very confident that Emery can even manage this, as if you check the prices on sites like Bookie Pro you will find the five teams that finished above us are all less than evens, whereas Arsenal can be backed at up to 11/4 to break back into the Top Four. The fact is that Man City and Man United have been making massive investments to try and be Top Dogs, while Liverpool, Tottenham and Chelsea have been getting more and more competitive and are all knocking on the door every season as well, by appointing top class managers and making shrewd investments, so it is going to be far from easy for Emery to suddenly overtake them quickly. The respected Arsenal legend Ray Parlour has probably hit the nail on the head when he was asked if the Gunners could now expect to win the title with the new team in place. “I would love him to do it, but I’m going to say no,” Parlour said. “Unless there’s massive investment, the same as at Man City, [they’ll never win the league]. So despite the massive changes, do Arsenal fans really believe that Emery can get us challenging for the title simply by his coaching methods alone, or is he banging his head against a brick wall unless Kroenke loosens the purse strings and competes with the Manchester clubs for really top players? This entry was posted in Arsenal News, Arsenal NewsNow on May 25, 2018 by Admin. Unai Emery is planning to focus Arsenal’s attack around three players; Ozil, Ramsey and Aubameyang. He wants to make Mesut the focal point of the team and to build around him. we’ve a good new manager who could work wonders or completely fail. If we finish 4th next season it can be seen as an improvement, however a much more drastic improvement needs to be shown in the final points tally for us to be able to say we have caught up with the top sides. These are uncertain times ahead for us fans and we now have to be patient and wait to see if we can progress upwards. F**k you Ray parlour right in ur a**.Arsenal will finish first or second.PEA Said Arsenal stagnated under Wenger. Can’t agree more! I thought that was a brave move by Auba. Everyone adorning Wenger for months, we hear how players staff everyone took it really hard. Then Auba just calls it exactly how it is. Shows you he is a big player, the big players stay honest even if everyone else lets it go. I don’t understand why these ex players keep knocking the club. Even the legendary Wrighty with his mate Shearer, Lee Dixon and Alan Smith’s been doing it for years, so long that I can remember coating the latter at Wembley during a Champions League game. The worst of all is still Paul Merson, a wonder whether that will change now that the man that sacked him has now left the club.There is one that stands with us mind you, and that’s Charlie Nicholas, a true Gooner, I don’t know how he keeps his job with Sky. Pundits call it how they see it, it’s what they are paid to do and lets face it Arsenal have been making mistakes for years but lets hope that is now past. Sheez Kev, did you and Unai have a few beers last night or something? Yea arsenal focuses on the top! Ray Parlour is on the man city train like everyone else! They aren’t invincible they are very far from being invincible.. Liverpool showed not only can they be beaten but easily taken apart! And as for man utd spending and being they’re closest challengers, don’t make me laugh! Yes they finished 2nd this year so what? So did we a couple of seasons ago and got crucified for it! Man utd under mourinho are a joke they’re keeper is voted player of the year every season, what does that say? Lukaku is awful in the big games, Sanchez is done! Maureen hates Rashford and Martial.. lingard is hardly gonna strike fear into anyone and Smalling and Jones are mediocre and both full backs are 32! I think our future is a lot more positive than man utd’s I don’t care if they have 3 billion to spend they will be playing defensively under that clown mourinho! With the right signings and some tweaking we can challenge it’s about consistency.. if Leicester can do it then so can we and we’re a lot better than Leicester. Absolutely! I don’t see Emery following suit with Wenger’s deadpan approach to games.. the difference between the two men is that Emery is a tactician Wenger wasn’t! Maybe we won’t win the league for some years to come but I do think we’ll get a lot closer with Emery than we did with wenger! Finally we have someone who actually studies the opposition and sets a team up to combat the opponents strengths! However if we adapt a pressing game Xhaka and Ozil might as well stay at home. I seriously think Mourinho upsets his playing staff wherever he manages by his second season. I agree with you about Uniteds problems. Play 16 young players in the Carabao and the Europa. Save the top 22 for the league and the FA Cup. Just get out from the ‘school boy’ label. Not to be kicked into submission by thugs. We kicked them harder. Try hard enough.No more half past 6 performance. I think fans recognized we need time to shake off negative aura. Position wise, I think we should be still good to challenge for top 6.
i think for the arsenal to finish in fourth place next season would e a wonderful achievement , this club is going to need time to recover from the mismanagement of the past twelve years.if we finish in the top four , and, if we play attractive attacking football, for the most part, then i will be one very happy gunner.let the show begin !. I am stunned that people are still using the finances excuse, especially after last season! Don’t get me wrong, spending money on ready-made players makes things easier, and we still have the Kroenke problem, but in recent years it’s the poor level of coaching that has cost us more than anything. Even with ZERO additions, Emery will improve things, by how much, who knows, but it will improve. The most important thing for me, is I want Arsenal performances to improve. Far fewer performances where Arsenal look like they cant be bothered, I want to see our players try for the whole 90 minutes. If Emery can get Arsenal playing like that then Im sure the league position will improve and silverware will come. Arsenal arent likely to become league title contenders over a single summer, it might happen, (cough, Leicester, cough,) but its more likely to take a year or two for the mentality and balance of the team to improve enough to compete properly for the league title. As for next season, the main aim has to be to qualify for the Champions League, hopefully by league position, but if Arsenal finish fifth and win the Europa League instead I wont complain. I certainly dont agree with the comments about massive investment needed. 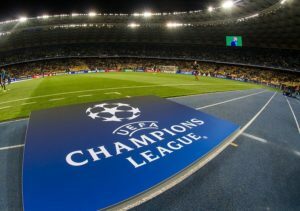 Its daft to try and take on Man C and Man U in that way, they have more money, a better reputation, (at the moment,) more well known coaches and champions league to offer. We can’t compete that way. “We don’t buy Superstars, we make them.” Something I did admire about the younger Wenger, Arsenal need to get back to this attitude. I dont see a lot of benefit in spending a fortune on top quality players near the end of their careers who will have little or no resale value. Almost everyone agrees that the Arsenal players have underperformed, that the tactics have been outdated, that the players fitness, concentration and general training can be improved. We dropped (I think) 10 points just against the bottom four teams. That would have been nearly enough for fourth. So, I think that there is a lot of scope for improvement and Emery seems like the kind of coach to do it. Also, Arsenal have some excellent younger players. Which is why I am firmly of the belief that a few carefully chosen signings, bringing the right youngsters into the first team, plus improvements from the players we already have will be more than enough to get Arsenal back into the top four, hopefully this year. To be honest I think its too early to say any more than that at the moment, I expect July to be very busy on the training ground and the pre season games to be more important than normal as the new team shape is determined and tested. I expect Arsenal will sell off some surplus players both in August, (to the European leagues since our window will have shut,) and next January, and the team transformation will hopefully be finalised next summer, it will be interesting to see how far behind Man City and the others we are then. I believe most fans are like me, in that we demand 100% effort from all players, every single game. Provided we get that and also show we are on the up from Wengers tedious, boring and mistake ridden regression, fans will accept what happens in his first season. Of course we all want to win the league and if not, then get second. If not second, then third and then fourth etc. What was NOT acceptable were the halfhearted, “just there for the wages” players who played so regularly under Wenger. The constant empty seats which , ironically, UNSEATED Wenger, showed our fan fury at laziness. One of the reasons so many of us are excited about Emery is his obvious passion and previously shown refusal to put up with less than 100%. No more twelve years of Walcotts feebleness, Ozil’s refusal to give ALL his prodigious talent , week in , week out. No more Diaby fiascos and a welcome return of players who play like MEN not “teenage boy snowflake types.” eg ” Oh Daddy Arsene, the rough opponent hurt my tootsies. Tell him not to do it again please” And then Daddy Arsene , true to form, would moan, uselessly, at the other team employing MEN who hurt his precious children. Ugh! Good riddance to all that nancy boy pampering! From now on we support Arsenal Football Club MENS team. And ARSENAL LADIES TOO , WHO ACT MORE LIKE MEN THAN SOME OF WENGERS CHILDREN DID. It was a shame to see the ladies team lose to Chavski in the final, they shown some real battle and could teach the men how to “man up”. Already made a signing haven’t they? Viktoria something. I really don’t follow the ladies as much but I would if TV shown more games, they have talent and some of them are fair on the eye as well. If women can drool over Beckham/Alexis/ then I want equal opportunity to drool over some of the attractive female footballers lol. I don’t drool over Becks or Sanchez! Give me Podolski or Kolasinac!! id be happy to see the team improve and stop the bleeding. Top 4 wouldnt be something to celebrate but if it looks like we are going in the right direction then it’s a positive. This is different from AW getting top 4 because it was blatantly obvious we were getting worse every season and was only a matter of time until we became Europa League quality. Back in UCL is a good first step to rebuilding. Making Arsenal a top team again is going to take more than one season. we are just coming off a 22 year reign. 4th place next season is o.k. if Emery makes a team which will fight, play fast, play nice and be competitive in the league and Europa. The new manager has to pick up the pieces and kick this shambolic squad into shape. We need to give him time to separate ‘the wheat from the chaff’, in particular the defence, and instil his own ideas. We desperately need a commanding CB and CM and possibly a new goalkeeper. If he can get us back into the CL in his first season it will give us a platform for the future. At least we can now look forward with a bit of real optimism after the stagnation and mediocrity of the recent past. I do, I never miss a game, I have watched Chambers lead the def when his partner was either Holding or Mavrop. Funnily enough though that when Chambers played alongside Mustafi then both the CBs looked bad. We may have 1 bad CB in Mustafi but in reality that is all! Chambers has done very well, when partnered with Holding or Mavrop then the def has been admirable. Chambers won over the Boro fans during his loan move and Boro got regulated due to inability to score, their def was that of a team in the top half of the EPL. Holding started with a boom but then dropped off as Wenger got his claws into his training. Mavrop started great until he was not partnered with Chambers but Holding instead and he made that rash decision which cost him (got him carded and off). I do not agree with the idea that AFC have to spend £500 million or whatever just to compete for the EPL. We already have one of the best attacks in the WORLD, Man City can dream of having Auba and Laca while we are singing happily while they keep bagging the goals. Our def was so bad right? Lot of the goals we conceded shouldn’t have been goals, they was individual errors which Wenger never eliminated from AFC, if Emery can then we do not need a whole new backline.. Some of them are very talented and just needs a coach who can teach them how to def at the highest levels. AMN is looking like a player who could have a big season next season with a new manager, if Emery is excited about AMN talent like reports and he gives AMN homework like reports say he does… Fred is going to cost how much? And we could have better from youth. I would be happy with 4th as it is an improvement, I will be happy if AFC step forward and 4th from 6th is a step forward. I do think we can compete for the EPL and with a !!FEW!! additions we could compete for the EPL. Imagine how many goals Auba will score next season!! Also Rambo if he stays, Emery wants to work with him and if Rambo can gain that consistency… He could be a 15+ goal a season CM if he can maintain his better performances. Have you read that Emery also has hopes for Iwobi!!! If Emery can get Iwobi performing like a WC player then he will win me over. I am excited to see what Emery can do with our players, Wenger has put in place the structure for kids to progress but they have been failing to keep that development going once brought into the 1st team, Bellerin is a prime example. Imagine if Emery can get our young(ish) CBs to perform at their best constantly? Mavrop destroyed Lukaku 😛 Think about how Holding got the better of Costa… Chambers looking class when not played alongside Mustafi. Yes Laca has been really good. Yes Mavro doing Lukakau was spot on!! Agree with everything you’ve said… especially exciting times!! Top 3 nothing below! I want Mo’s ManU to be stuck at 4th for the rest of his time here. I agree, with spurs 5th.